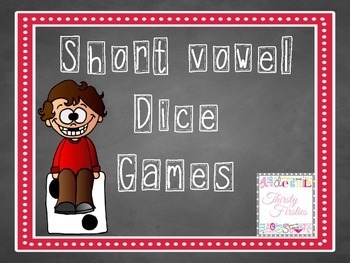 Included are two different games to play with dice; these games are a fun way for students to practice the short vowel games. 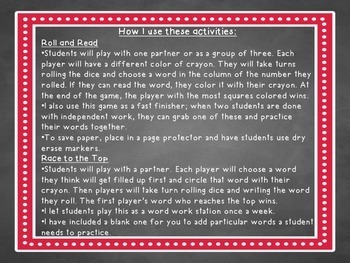 The games are "roll and read" & a game called "race to the top." 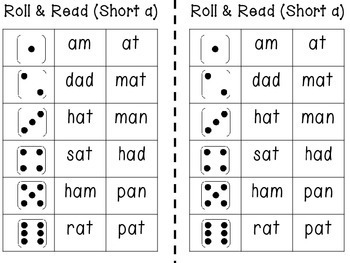 There are 2 "roll and read" games for each vowel (a,e,i,o,u). 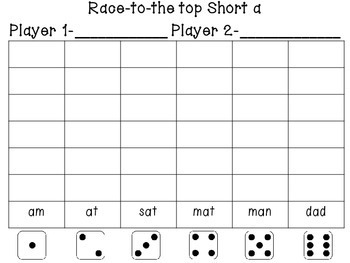 There are 2 "race to the top" games for each vowel (a,e,i,o,u). For a total of 20 games.